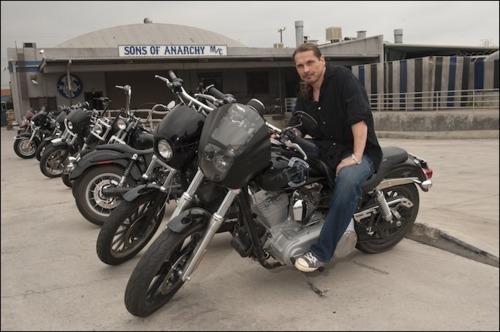 Kurt Sutter. . Wallpaper and background images in the Sons of Anarchy club tagged: sons of anarchy kurt sutter. This Sons of Anarchy photo contains motorrad polizist, motorrad-polizist, geschwindigkeit polizist, speed-cop, motorrad-cop, geschwindigkeit cop, motorrad fahren, motorradfahren, and motorradfahrer. There might also be trail-bike, dirt bike, scrambler, and trail bike.